Located close to the town of Parrita with 13 mts. of beach frontage. 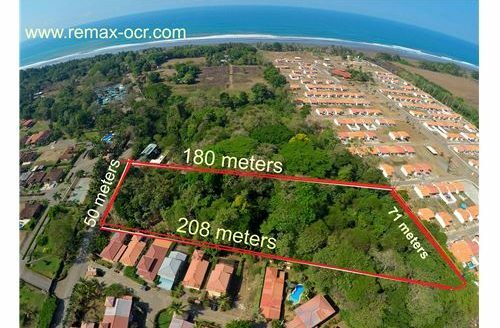 Contact the REMAX Oceanside Jaco Beach Real Estate office for more information on this Playa Bandera, Beachfront Lot or for any of your Costa Rica Real Estate needs.